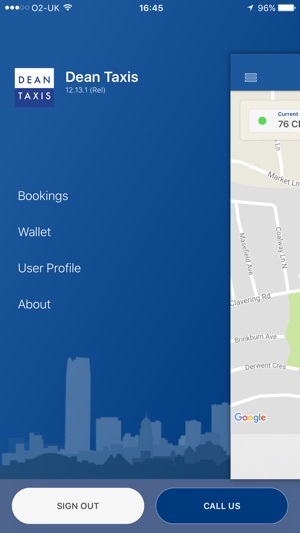 Dean Taxis is a FREE app to download and will cost you nothing to register! 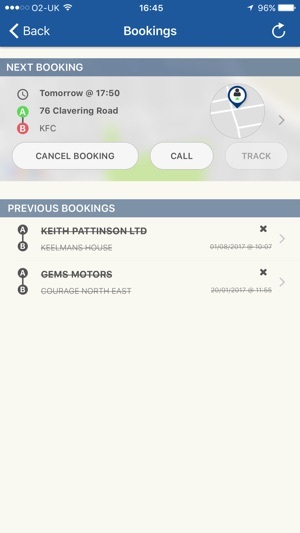 This app allows you to book your taxi with only a couple of presses of your finger, wherever and whenever you want. You are in control! It’s the simplest and easiest way to make your travel arrangements. 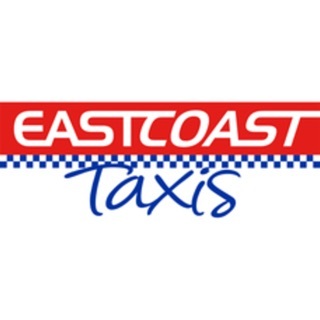 The difference between our app and other generic taxi booking apps is that you book directly into our booking and dispatch system which provides you with a priority service. 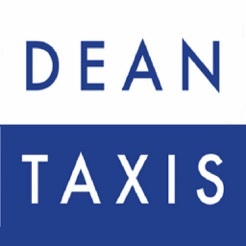 Dean Taxis is one of the largest private hire companies in the North East of England. We operate from our base in Gateshead, and cover the surrounding areas. Please call 0191 444-4-444, if you are outside of our region. 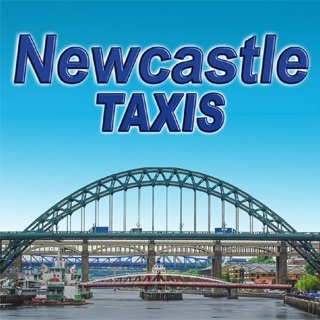 All of our vehicles and drivers are fully licensed and regulated by Gateshead Council, offering you the peace of mind that you are using a reputable, fully accountable taxi company. 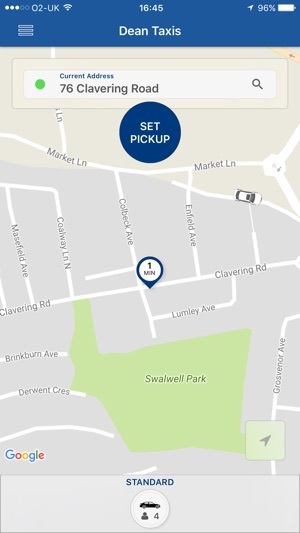 All of our vehicles are fitted with the latest GPRS technology, ensuring complete traceability and accountability of all journeys and allows the user to track the status/location of their taxi at all times. Bug fixes and optimisations for Google APIs. Booked a taxi through the app. Put in my postcode, the app brought up my street and I entered my door number - once the booking was complete I checked it and the address had changed to the further up the street. When the taxi had been dispatched a pop-up came up asking if I wanted to track the cab. Clicked 'yes' saw the taxi was about to arrive so I locked my phone and went out to meet the taxi. Saw it stop up the road, as I walked towards it it drove off. 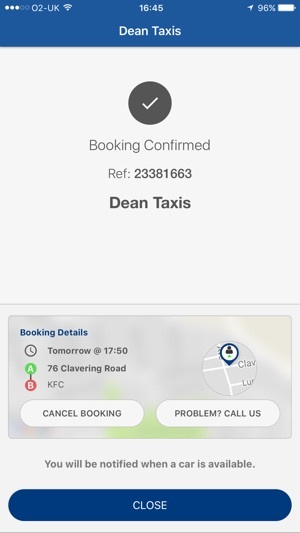 Called Dean Taxi they asked if I'd tried to track the taxi; they said I must've clicked cancel by mistake and that there was nothing they could do to help. Booked again through the app and waited at the pick-up point. Got a call from Dean saying the taxi had arrived and I wasn't there so it had been assigned a new job. I had been there when I made the booking and had not moved. 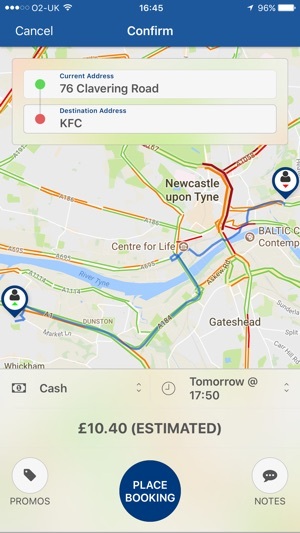 Have been using the Dean app for a while now and can honestly say it’s worked perfect each time, one thing I always do is put the destination in as well as pick up address as this obviously helps during busy times for my booking to be accommodated , best taxi service by far with nice modern vehicles and pleasant drivers.